Most of them might know that Laptop and Notebook are actually not similar but when anyone ask you "What the difference between Laptop and Netbook" how could you explain it in simple words? Notebook (Mini laptops) Advantages such as multimedia, office computations, browsing & emails altogether in ultra portability is the reason why it proved to be great gadgets, even though Mini laptops are not as super luxurious as laptop as they cannot provide with intensive power for gaming and graphic programs. Usage of Notebook is increase and extending in remote locations as well due to its significant factor, revolve around connectivity and improved portability. With 3G and netbooks Wi-Fi accessibility. The sales of netbook are definitely increasing as advantages and features of Notebook are being noticed by the customers, comparing the sales of last few years. 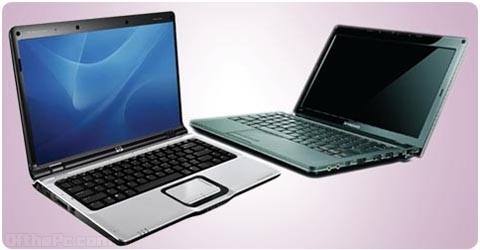 Comparing Netbook with Laptop and, Netbook is not exactly a laptop but with few dissimilarities, advanced version of laptop having improved portability, lighter weight, smaller size and available at reduced cost. So according to your requirement you can analyze and select either Laptop or Notebook, which one suits you?